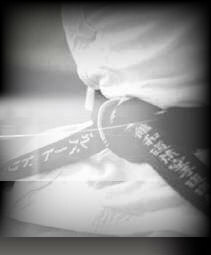 As a Full Member of the Federation of Wado Kai Europe (FWE), it follows the Teaching and Technical Direction of Sensei Shingo Ohgami (8th Dan) and JKF Wadokai. Welsh Karate Kai offers it's Instructors & Students, access to top quality International Competition, Courses & Tuition. The WKK is the ONLY Association in Wales able to offer its Members this access & opportunity. Coupled with quality Wado Competitions & Courses throughout the UK & Ireland, WKK can offer what most others can't. Welsh Karate Kai has Senior Ranks for Gradings & Promotions. We believe we offer our Members, a superb balance. Preferring Leadership to Dictatorship, Independence to Isolation, Accreditation to Non-Qualification, Promotion to Stagnation & Success to Failure. Wado Clubs or Groups wishing to affiliate, should contact our Administration Officer for further information.